If your Glow-Worm boiler has a fault, you’ve come to the right place. We are called out to boiler breakdowns daily. And, there are two brands that seem to be more intermittent than any others; Glow-Worm and Vokera. Which to be honest is strange, because Glow-Worm is actually part of Vaillant, and their boilers are known for being extremely reliable. I suppose there is a good reason for this. Both Glow-Worm and Vokera are the budget of the budget boilers. They really are at the lower end in terms of performance and quality. But don’t despair just yet. Many Glow-Worm faults can be fixed quickly and easily. Many times, a simple replacement component can be fitted and the problem is fixed, giving you an extra couple of years before you need a new boiler. Hey, need someone to help fix the fault with your Glow-Worm boiler? You can find an engineer to offer a quote here. Alternatively, you can get a fixed price online for a new boiler using this 90-second clickable form. One of the most common issues we find with Glow-Worm boilers is with the Flexicom CX range. In particular, the Flexicom CX 24 and Flexicom CX 30. If you have a F14 fault code showing on your Glow-Worm, there’s one thing you need to check; that the Printed Circuit Board (PCB) is getting power. This is essentially what powers and programs your boiler. If you’re happy that you do have power to the PCB, that’s good news. The PCB is extremely expensive to fix and in many cases, a new boiler is really the only option. Now, it’s likely that the gas valve (this regulates the flow of gas to the boiler) is the issue. Sometimes, they can be fixed. Honestly? It’s really not worth spending time (and paying an engineer) to try and fix it. Assuming the PCB is fine, the quick and easy fix for the F14 fault code is to have a Gas Safe engineer come out and replace the gas valve. With repairs like this, you’ll want a general boiler health check. It doesn’t make sense to invest hundreds of pounds in a deteriorating boiler, when you can get one fitted from companies like BOXT (part owned by Bosch) and pay less than £20 per month; up to 10-years warranty will be included. Like the F14 fault code, we find the F1, F3 and F4 is common on the Glow-Worm Flexicom CX 24 and 30. This isn’t usually as simple as the F14, as a lot of the time, all codes will show all at once and this doesn’t help an engineer to determine the exact problem. An engineer will usually start the diagnostic process by using a multimeter. Using this tool, they will be able to determine if there are any week connections to the PCB, and from the PCB to the fan. If there is, this will cause intermittent problems. If there are no issues here, the next step is to test out the ignition leads. If the fault lies here, they can simply be replaced. Usually, they can be picked up for less than £100, so it makes sense to replace just the leads, rather than the whole boiler. We’ve been called out to both Glow-Worm Betacom 24C’s and Betacom 30C’s where they work perfectly one day, but not the next. Usually, the boiler will be showing a fault code of F61, F62 and F63. However, the same problems can occur when the fault code on the display is F64, F65 and finally F67. Like the F1, F2 and F3 fault codes, this is usually related to a faulty circuit somewhere in the boiler. This could be with the PCB or ignition leads. A multimeter is the best tool to determine where weak connections on an electrical circuit. An engineer will work through each component methodically to determine where the weak circuit is. If the fault doesn’t lie with the PCB, usually replacement parts can be sourced and these replacements are much more economical than replacing the whole boiler. It’s rare that we will replace a PCB. The simple reason is that they can cost up to £500 including installation. Especially with an older boiler that is likely to have other issues, it makes much more sense to replace the whole boiler unit. This really is a fact-finding mission. What we have found is that many Glow-Worm boilers having a F9 related problem are running on a system that has not been flushed, or doesn’t have adequate chemicals in it. The particles circulating in the water find their way into expensive boiler parts like the heat exchanger and block them up. Sometimes, this can be cleaned. If not, it will have to be replaced. On other occasions, we’ve found leaks in a system are causing low boiler pressure, or that using a multimeter, we were able to find a weak connection to the fan. If you have a 24CI or 30CI, you might have noticed a F16 fault code being displayed. Sometimes, the code can disappear by itself, but it’s likely it will return in a matter of days. We’ve found with some breakdowns, that the gas assembly was faulty or blocked, meaning the boiler wasn’t getting enough gas to fire. Usually though, the problem stems from the ignition leads and probe. These help the boiler fire and when they get blocked up, the boiler won’t work. Replacing the gas assembly, ignition leads and probe will usually do the trick. But, make sure you get a qualified Gas Safe engineer out to analyse the situation. There’s no point replacing parts for the sake of it. The F11 Glow-Worm fault code will be displayed when there is a connection problem with the main circuit board. And, this is usually directly related to the flow and return thermistor. Multimeters are a boiler breakdown engineer’s best friend. The problem can usually be fixed by replacing either the flow or return thermistor. However, there might be other intermittent issues, and checking connections using a multimeter can help to show if this is the case. The F22 boiler fault code is directly related to low pressure. If this has recently come onto the display and your boiler is losing pressure, there’s a good chance you have a leak. Otherwise, there’s likely to be an air lock in the system. If your boiler not only has low pressure but is losing pressure, there’s a leak somewhere. A visual check will usually highlight the leak, and leaks are easily fixed (if they are not under floors). If that doesn’t fix the problem, there’s a good chance there is air in the system. Usually, and this can be fixed by bleeding all the radiators. Remember to bleed any towel rails too, as these usually have the most air build up. Should You Fix Or Replace Your Glow-Worm Boiler? The most cost effective solution, long-term, is the right one. 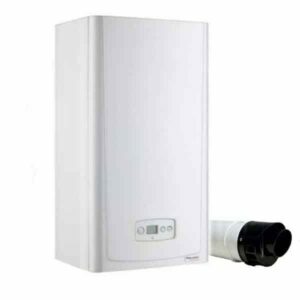 Typically, when repairs exceed £500 and a boiler is out of warranty, a replacement boiler is the best option. You can get the likes of a Worcester Bosch with a 10-year warranty fitted for less than £1,795 per month, and even organise finance for less than £20 per month. You can check prices for a new boiler here. 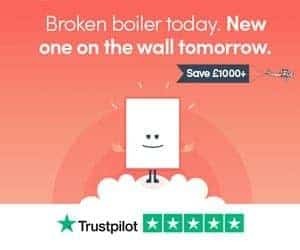 For repairs under £500, especially when many parts are in good condition or under warranty, it makes more sense to repair the boiler, rather than replace it. Hopefully, uncovering some common Glow-Worm boiler problems has helped you understand what the fault is, and how it’s fixed. If you have any questions, please get in touch.